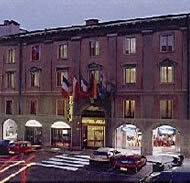 Bergamo hotels are as charming as the city of Bergamo itself. 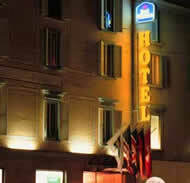 It is very pleasant to land in Bergamo’s airport and enjoy a stay in one of its many hotels. Because Bergamo is divided into two parts, you have a choice of staying at Bergamo Basso (Lower Bergamo) or Bergamo Alta (Upper Bergamo). Orientation. Bergamo Alta is on top of a hill and can be reached by car or funicular. It is very beautiful and majestic with stunning views. Bergamo Basso is closer to the central train station and is more convenient for transportation reasons but much less charming than Bergamo Alta. 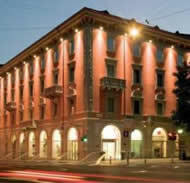 Now you can do a search for all available Bergamo hotels by choosing your preferred dates from the search box below OR you can browse through our favorite hotels listed below. 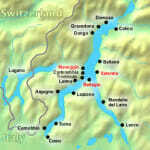 Location: Lower Bergamo – 10 minutes to upper Bergamo. 300 meters from the train station. Description: Excellent location to arrive in when coming from the airport due to its proximity to the central train station. Great restaurants and shops nearby. Beautiful, clean rooms and extra-helpful staff have made guests very happy. 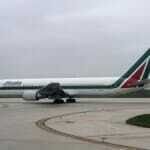 Location: In close proximity to Bergamo’s airport (4km). 25 minute walk to Lower Bergamo 1 hour to Upper Bergamo. Description: Although primarily known as a conference hotel, it offers its guest nice rooms and attractive amenities at good value. 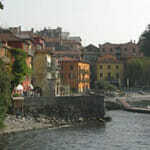 Great locations for tourists arriving from the Orio al Serio airport. 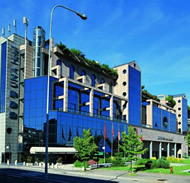 Location: Exactly in between the airport and the city center on a main road. A car is recommended. Taxis cost about €15-€20 from the airport. Hotel provides a shuttle to Bergamo. 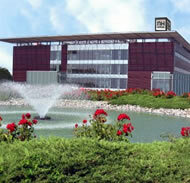 Description: Large, soundproofed rooms which are very modern and of high quality. Excellent value for the amount of amenities offered if you’re willing to trade-in the downsides of location. Location: 4 minute drive from the Orio al Serio airport. Description: Large, spacious, well-furnished rooms are offered by this brand new hotel located right next door to the Orio al Serio airport. Great value for your money, though the surroundings are not the most inspiring. 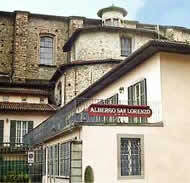 Location: Only 200 meters from the train station in Lower Bergamo. Description: Great location – only 3 minute walk to the central train station. Catch a bus right outside the hotel to get to Upper Bergamo. Clean, spacious rooms with a lovely view of the city. Friendly, helpful staff. Location: 200 from the Bergamo train station in Lower Bergamo. Description: Amazing location, like the hotel above. Great breakfasts. Beautiful, immaculate rooms and many more luxuries located just a stone’s throw away from the central station. Location: 500 meters from the railway station and 4 km from the airport. 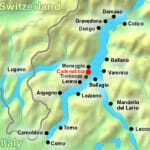 Description: Great to location from which to explore both Upper and Lower Bergamo. Clean, spacious and comfortable rooms. No breakfast included but plenty of shops and bars close by. Location: Central Bergamo, halfway between Upper and Lower Bergamo. Description: Great location for downtown shopping and sightseeing. Lovely, spacious rooms with balconies. Includes lovely restaurant with a great view but quite pricey. 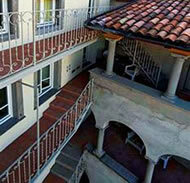 Location: In Upper Bergamo, a few steps from the charming Piazza Vecchia. Description: Nice hotel with lots of character…this is one of those charming Bergamo hotels located in Upper Bergamo with stunning views of the lower city. 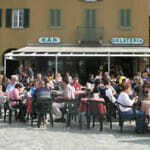 Plenty of excellent cafes and restaurants surrounding the hotel. Location: Center of Upper Bergamo. Description: Absolutely amazing location if you’re willing to trade-off the small rooms. 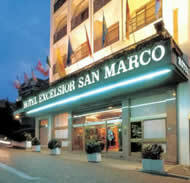 The rooms are however, clean and the entire hotel has a nice calm and peaceful environment. 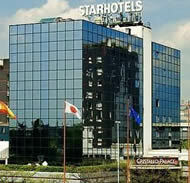 Most of the bargain 1star hotels and other lowcost hotels are located a bit of a distance from Bergamo’s town center and can be difficult to find. Most of them don’t have any problems with availability, but they can be quite shabby! Keep your expectations very low in terms of facilities, cleanliness, and size. Also, English is not always spoken at some of these Bergamo hotels. 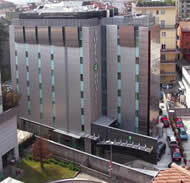 You can always use our maps to map out the addresses of any Bergamo hotels.